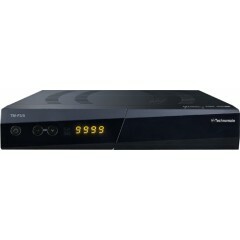 Based on the highest rated satellite receiver…ever! (92% by What Satellite magazine*), the new HD range is even better! With the future-proof piano black finish TM-F3/5, you can now watch channels in glorious High-Definition (HD), Full HD 1080p with Dolby Digital Plus to give you a superior audio experience. It’s also 3D ready**. You can use a USB Hard Disk Drive (HDD) to record all your favourite channels, listen to your music and watch a slideshow of your photos. What’s more, you can record up to 3 channels (on the same transponder) whilst watching a file from your USB HDD. You can even watch the .avi and .mkv file formats.